The Austin music scene offers visitors a various selection of genres to choose from. This month&apos;s residency will feature blues player Paul Oscher, former member of the great Muddy Waters Blues Band. 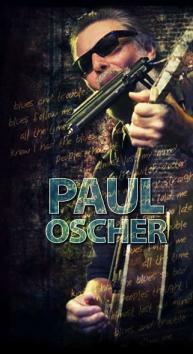 Paul Oscher is an award-winning blues artist that plays everything from the harmonica to the bass harp. He started his musical career with Muddy Waters as the harmonica player, but is now taking the stage alone for May&apos;s 2014 residency at C-Boy&apos;s Heart and Soul. Every Thursday from 6 - 9 p.m., head to South Congress Avenue to see Paul and experience everything that C-Boys Heart and Soul has to offer. Once the show is over, take a stroll down SoCo to experience other live music venues such as the Continental Club, or grab a late night bite at one of the restaurants or food trucks open after-hours. Follow C-Boys Heart and Soul on twitter (@CBoysHeartSoul) and like them on Facebook to keep up to date on who will be performing with Paul each week! Contributed by Rebecca Kouser, ACVB Music Intern. Photo courtesy of PaulOscher.com.